Kim greets our patients, schedules appointments, handles insurance and accounts, and works with patients to develop a treatment plan. She loves being able to meet new people and help them achieve excellent dental health. 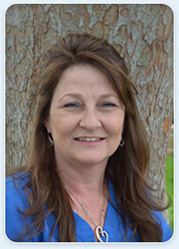 Kim is a born-and-raised Texan with a genuine love of country and western dancing and good barbecue. She has three children, Tyler, Blake, and Camryn. Her family loves animals, from their two dogs to the exotic creatures Tyler breeds for a living. She loves working with our doctors because "they make a great team and genuinely care about the health and happiness of their patients." Sonya is in charge of insurance verification, managing correspondence between doctors, and helping patients with their financial, insurance, and scheduling needs. She enjoys hearing about patients' lives and watching their treatment progress. When not in the office she likes dancing, yard work, and home projects. She also values spending time with her husband, Arthur, her children Michael, Marissa, and Marcus, and her beautiful grandson. She loves working with our doctors "because they are awesome, truly care about their patients, and their work is great! We have an awesome team and we will do our best to make your visits comfortable and memorable!" 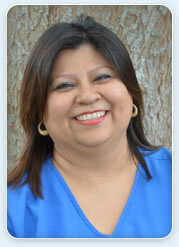 Veronica is our periodontic assistant. She assists in surgeries, takes X-rays, prepares rooms for periodontal procedures, and sterilizes our equipment. She developed her sociable personality while growing up with a big family in Mexico City, and truly enjoys getting to know patients and helping them feel at ease in our office. Veronica and her husband, Gaston, have two daughters, Carmina and Alejandra. She is a cheerleading mom and likes to stay active with jogging and trips to the gym. She loves working with our doctors because they "are both very sweet and understanding. They are very professional and conservative when making decisions. From day one, they made me feel part of their team. There is never a dull moment in this office! I have fun every day! We have all become family." 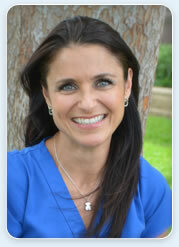 Debbie is our orthodontic assistant. 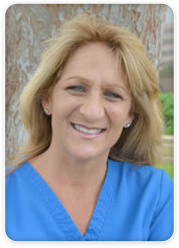 She assists in all orthodontic procedures, takes X-rays, makes sure our office is always stocked, pours and trims our models, and makes some of our retainers and stents. She likes to develop friendships with our patients and enjoys their trust and confidence in her abilities. Her favorite part of her job is seeing the smiles on patients' faces. When not in the office, this California-girl enjoys the outdoors, the beach, riding motorcycles, country and western dancing, and most of all, spending time with her three beautiful daughters. She loves working with our doctors because they "care about the health and well-being of their patients, and they work with everyone as a team."